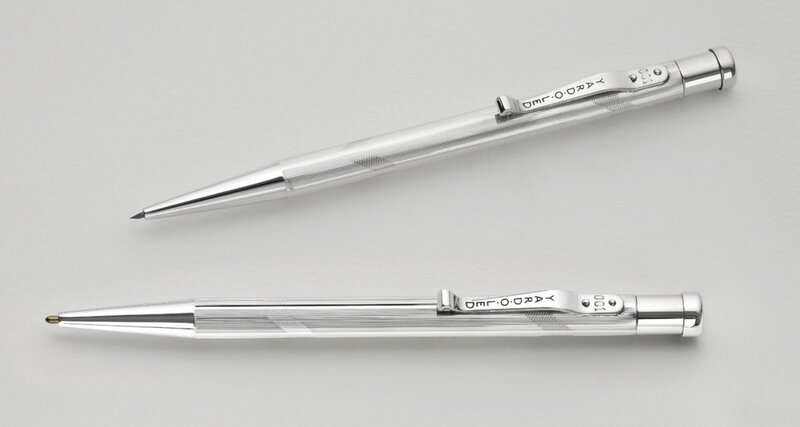 Celebrating 85 Years of Excellence with the "County Series"
Yard O Led will be adding two new silver finishes to their beautiful ballpoint and pencil silver collection: The Northumberland and the Shropshire. Inspired by classic designs from the company’s archives, the Shropshire and Northumberland will be the first two models in the series. The ‘Shropshire’ commemorates the many Shropshire born silversmiths who have worked for the company in the seventy years since its move from London’s Hatton Garden to Birmingham’s Jewellery Quarter following the Second World War. Whilst the county of Shropshire is now the company’s home, that of its largest British retail chain, The Pen Shop, is in Northumberland and Yard-O-Led is therefore proud to adopt this as the name for the second design in this historic series. Click below to reserve yours in time for Christmas.